Komarr could be a garden - with a thousand more years work. Or an uninhabitable wasteland, if the terraforming fails. Now the solar mirror vital to the terraforming of the conquered planet has been shattered by a ship hurtling off course. The Emperor of Barrayar sends his newest Imperial Auditor, Lord Miles Vorkosigan, to find out why. 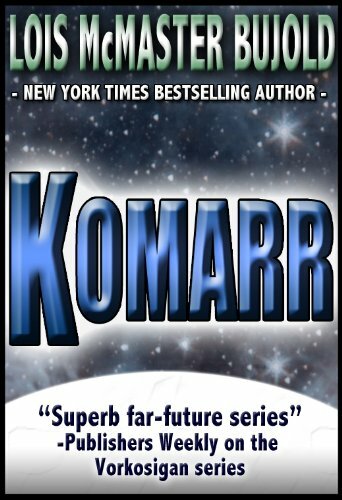 In the political and physical claustrophobia of the domed cities, are the Komarrans surrounding Miles loyal subjects, potential hostages, innocent victims, or rebels bidding for revenge? Miles is caught in a race against time to stop a plot that could exile him from Barrayar forever. His hope lies in an unexpected ally, one with wounds as deep and honor as beleaguered as his own. "Miles is a hugely popular character with fans--and they won't be disappointed with his latest adventure." "Bujold is also head and shoulders above the ruck of current fantasists and well as science-fictionists."